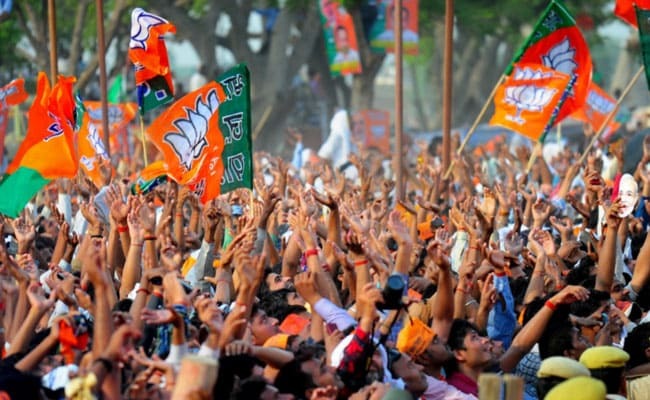 "It has been the Congress' policy to distribute tickets on the basis of caste and religion, but the BJP does not believe in this," party spokesperson Sudhanshu Trivedi said. After Bharatiya Janata Party's first list for the Rajasthan assembly election failed to include a Muslim candidate, the party said Monday that no one was denied an election ticket due to religion or caste. BJP's first list of 131 candidates, released late Sunday night, did not feature a Muslim candidate, prompting the Congress to accuse the party of side-lining the community. Replying to a question on the mediation of spiritual leader Sri Sri Ravishankar on the Ram Janmabhoomi-Babri Masjid title dispute case, Mr Trivedi said the government was ready to accept all the suggestions and solutions given by anyone on the issue. Mr Trivedi said BJP never made Ayodhya dispute an election issue and asked the Congress to clarify its stand. "The government will help in resolving all the hurdles coming before building the Ram temple, but the issue is now pending before the Supreme Court," he added.